Let me set things straight first, lest you get confused. This is not to be mixed up with the overrated minced meat noodles at Bedok 85. Now, don’t let your eyes play tricks on you with the play of numbers. 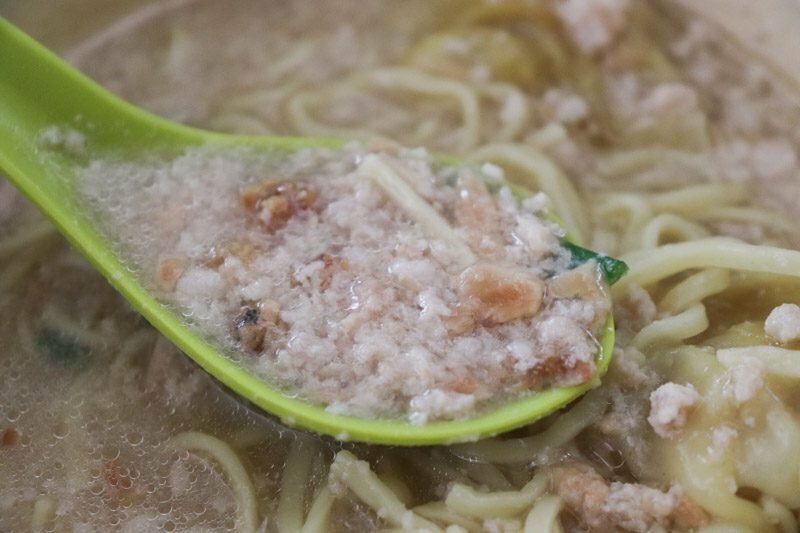 I lift my head high to confidently proclaim that 58 Minced Meat Mee at The [email protected] in Bedok serves the best minced meat noodle soup. If you think my statement holds an ambitious stance, this is one you need to try to play judge on the battle of minced meat noodles in Bedok. I’ve grown up my whole life indulging in this bowl of noodles and it baffles me how it’s so under the radar. 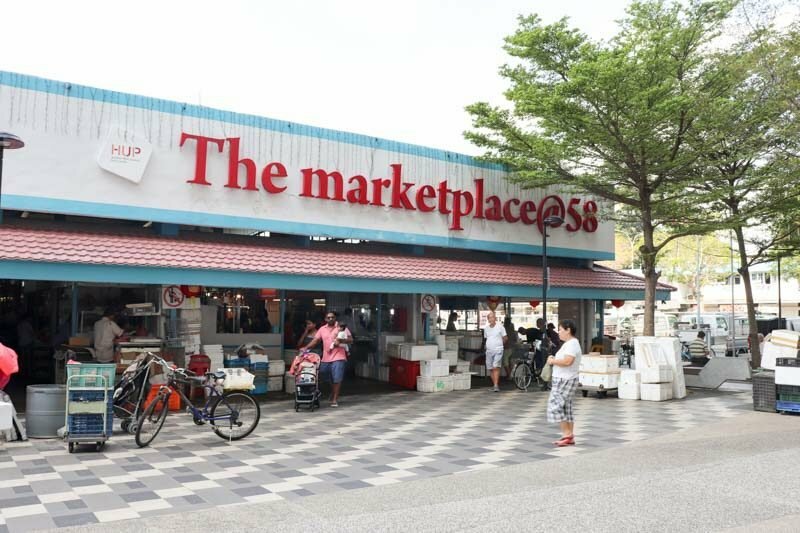 Loyal customers have always kept this stall under wraps to avoid longer queues – the average queue already entails at least a half-hour wait. They serve the hearty minced meat bowls to your table, so don’t assume you’re in luck when you don’t see a physical queue. I promise, it’s worth the wait. 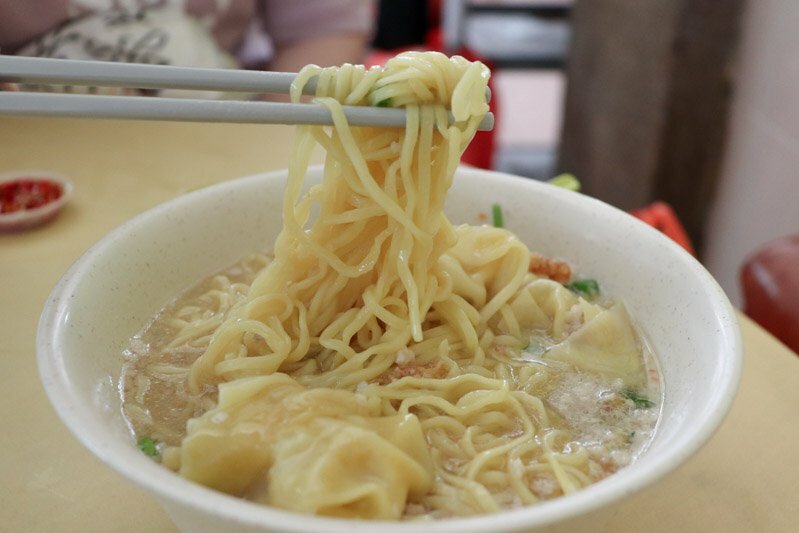 Behold, the legendary Minced Meat Mee (S$3/large) bowl is prepared-to-order with egg noodles and three homemade meat dumplings, served in a rich broth with minced meat, crispy lard bits and spring onions. 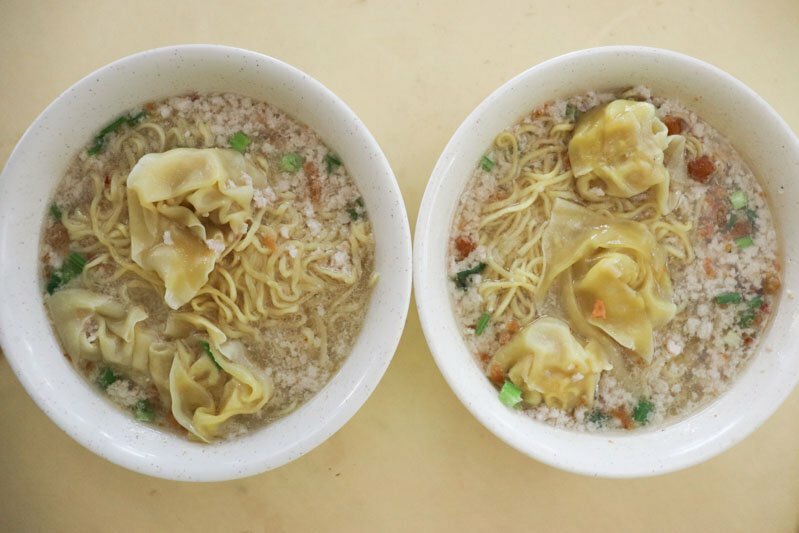 Their small bowl comes cheaper at only S$2.50 but that means you won’t get to savour those delicious dumplings. 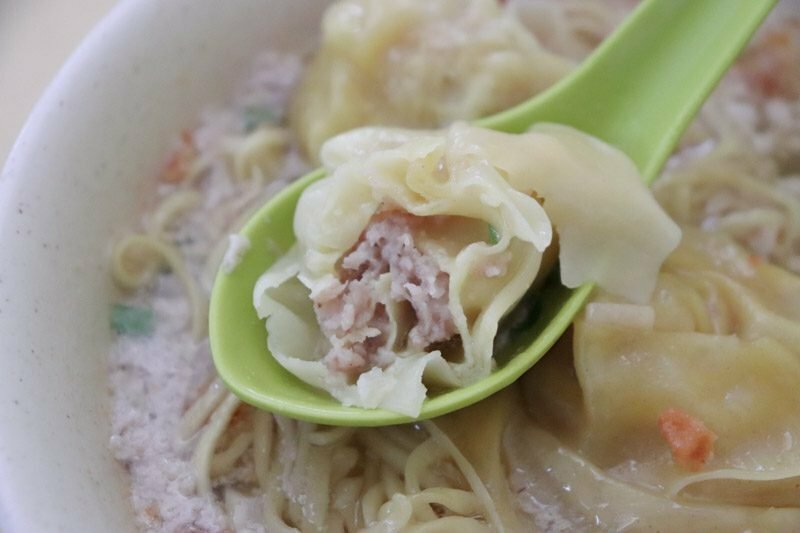 It may seem unusual that 58 Minced Meat Mee incorporates these dumplings in their noodle bowls but trust me, it’s the star of the dish. Before we get to the best part, let me touch on the other complementing components, for without them, this dish wouldn’t be what it is. 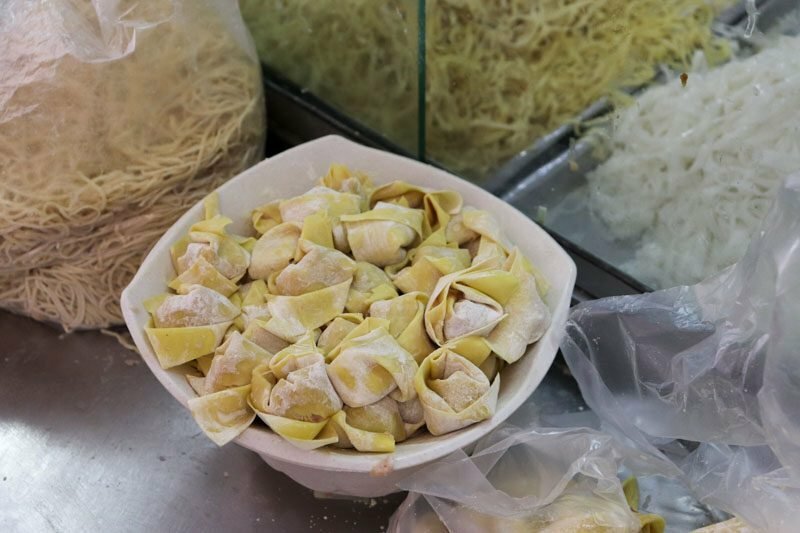 The noodles aren’t those yu mian (thin egg noodles) instead, the fresh egg noodles at 58 Minced Meat Mee is slightly thicker, like a combination between yu mian and mee (thick yellow noodles). 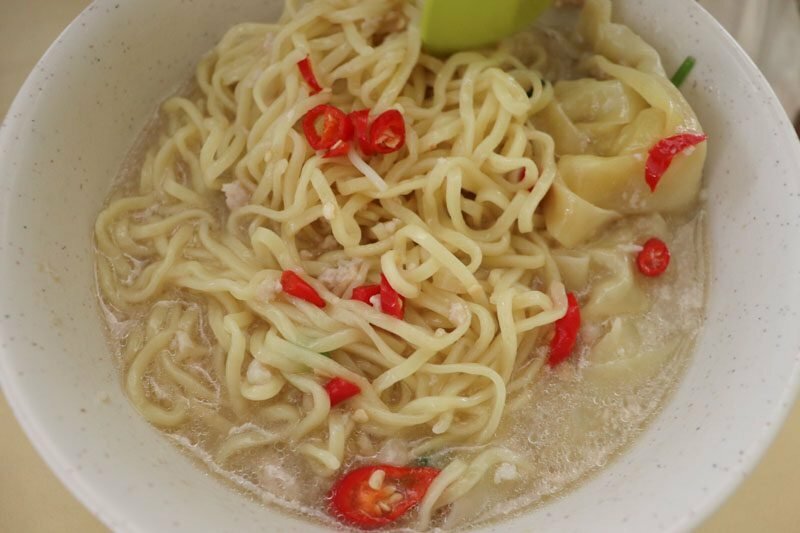 The noodles are fairly chewy but not to the extent of the texture you get from instant noodles. Don’t let them sit too long in the soup, they tend to get soggy quick! Let’s talk about the broth. 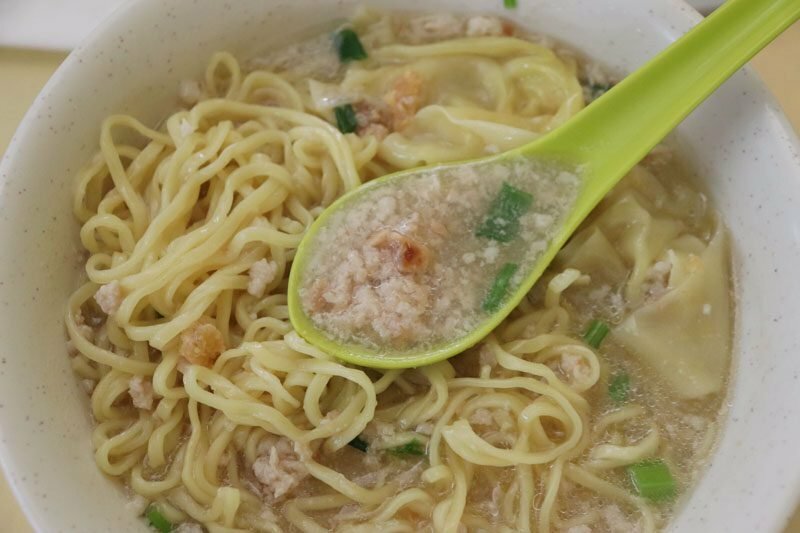 58 Minced Meat Mee serves their bowl of noodles with an insanely generous amount of minced meat in their soup. I mean, the dish obviously isn’t complete without bak chor (minced meat) but how accurately they nailed this marinated goodness always leaves me wanting more. With fried lard bits and spring onions, every spoonful had me embracing the soft meat and crisp lard chunks that came together with the slightly salty broth. I can’t complain much because one thing’s for sure is that the pros outweigh the cons here. Trust me, it’s better than the others. Feel free to add some chilli padi if you’re looking for a kick of spice. Now for the king component: the dumplings. These gems are freshly churned out daily, made in the wee hours of the morning. The dumplings are stuffed handsomely with a special minced pork marinade and other secret ingredients (I believe). 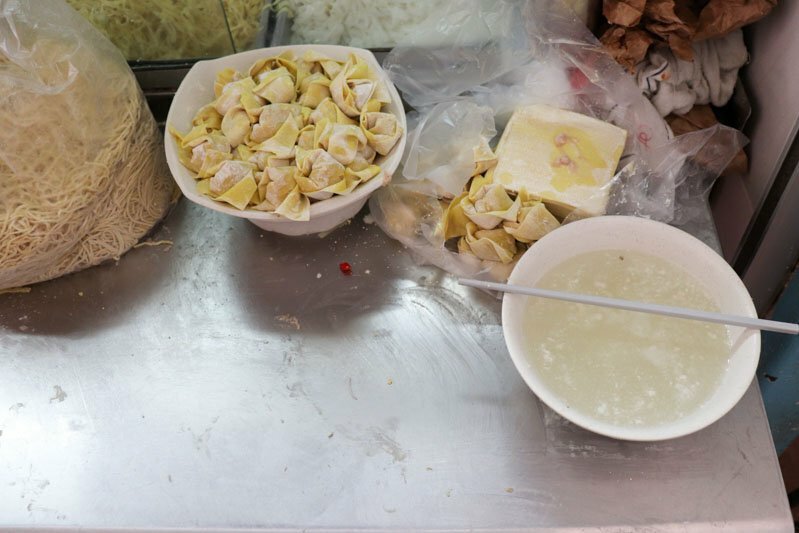 It may sound unusual that minced meat noodles are served with dumplings and I totally resonate with your confusion. Whether or not they belong in bak chor mee, all that won’t matter once you sink your teeth into it. I suspected fried sole fish (better known as ti por) is the secret ingredient of the dumpling filling, although the friendly aunty declined to let me in on their recipe. Totally fair though, if people knew the ingredients then 58 Minced Meat Mee’s loyal following would slowly fade. Yet, these dumplings never fail to leave me in awe of its perfect execution. Remember, always get their S$3 bowl. 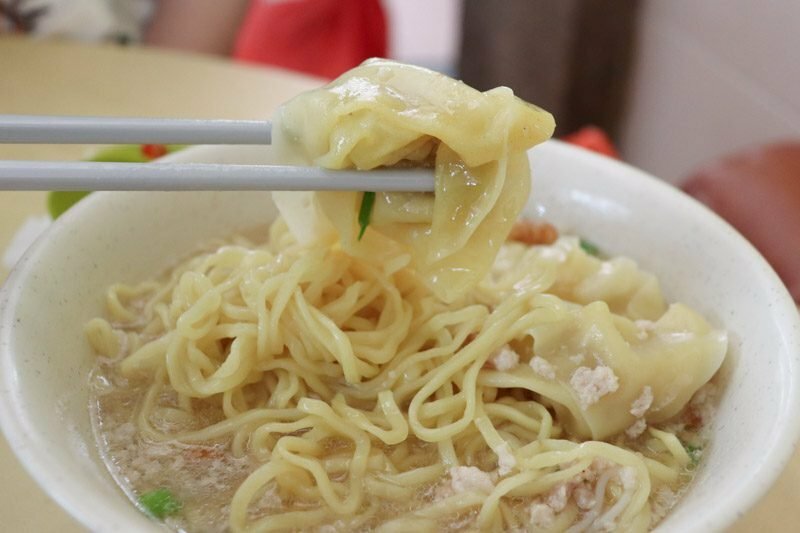 The Small Bowl (S$2.50) doesn’t come with these glorious dumplings and we don’t want anyone leaving with regrets. Here’s the work station where the magic happens. The lovely stall helper stands outside the store and wraps the dumplings to feed hungry guests. 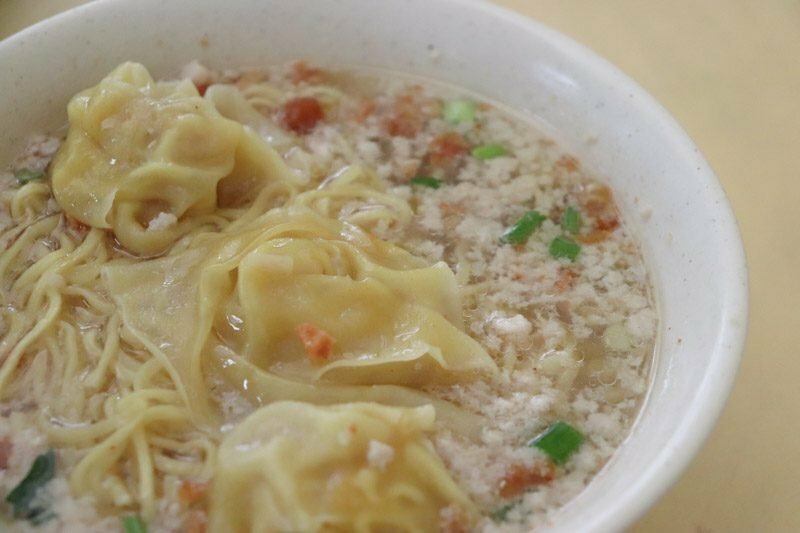 For enthusiastic dumpling lovers like myself, you’d be pleased to know that 58 Minced Meat Mee sells them per piece. However, it is to the owners’ discretion on whether they’ve got enough to let you bag a few home. Perhaps if you strike a friendly conversation with them, you’ll be in for a treat. The entire team loves a good chat, except when it gets really busy. To me, this is without a doubt the best minced meat noodles in Singapore. 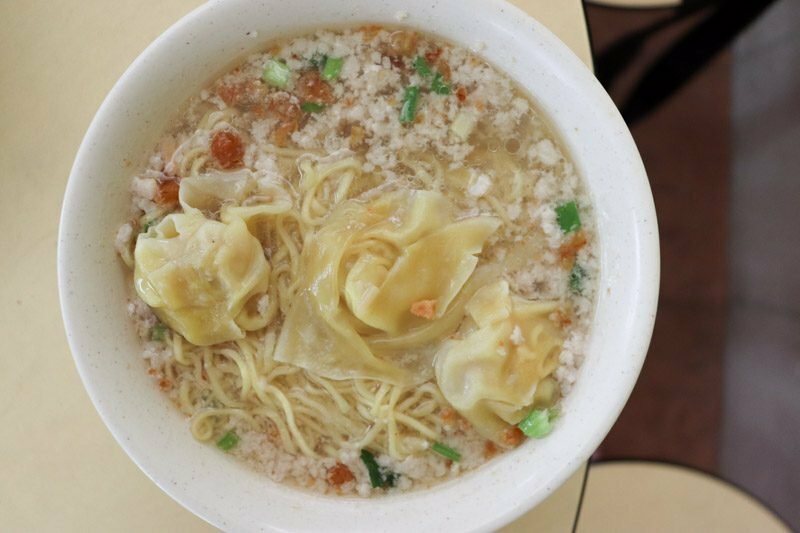 Then again, maybe growing up having this bowl of hearty minced meat noodle soup has caused me to have strong sentiments and be partial in my judgement. Bedok’s best-kept secret may be a secret no more, but good food must share, right? 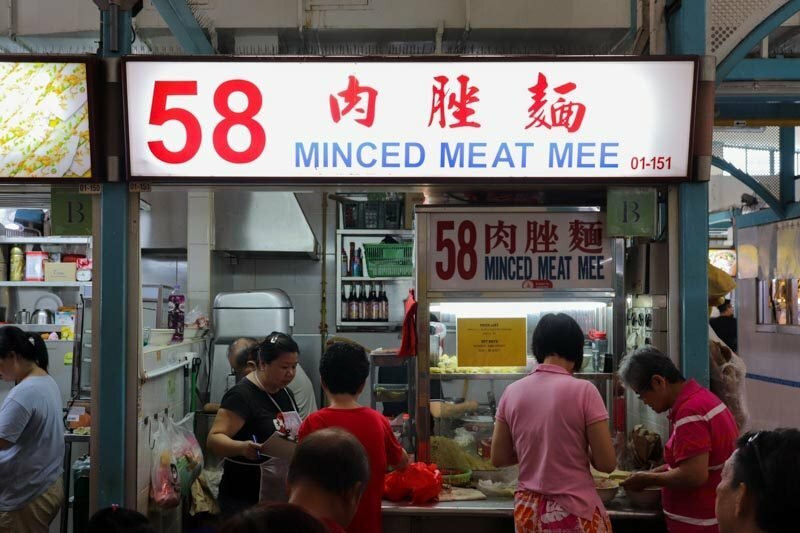 I only wished 58 Minced Meat Mee was opened for dinner and supper!